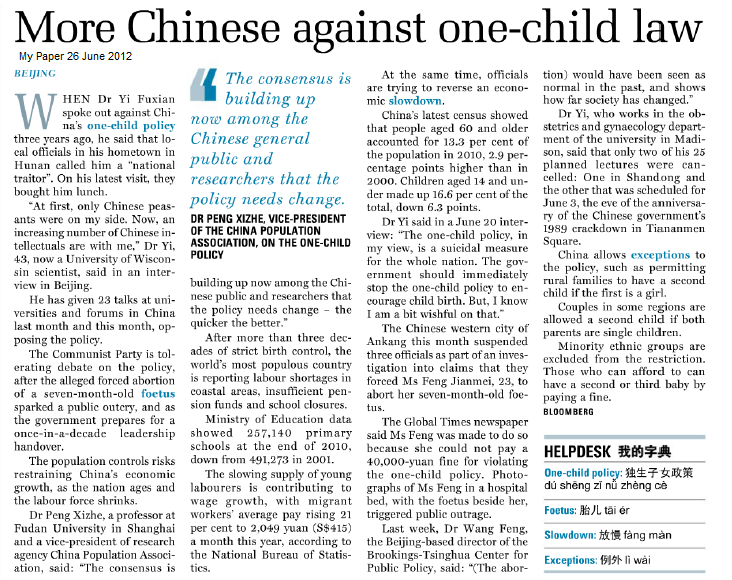 Do you think China's one-child policy is effective in controlling the population? What are the problems which China is facing due to the introduction of one-child policy? What are the exceptions to the one-child policy as mentioned by the news article? 0 Response to "China one-child policy"